OSF Holy Family Medical Center President Patty Luker was recognized earlier this month by a national healthcare publication. Becker’s Hospital Review named Luker as one of the “71 Critical Access Hospital CEOs to Know – 2018”. The list is comprised of leaders of organizations which lead efforts in patient safety and quality. According to Becker’s, the individuals recognized hold an important role within their community, serving on corporate boards and state-level initiatives to improve access to care. Becker’s Hospital Review features updates on business and legal news and analysis relating to hospitals and health systems, and best practices and legal guidance specifically for decision-makers. 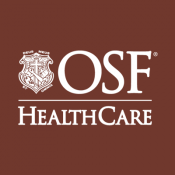 In a statement, Luker said, “This recognition in the health care industry is a real honor.” After joining OSF in 2009, as president of OSF Holy Family, Luker has been responsible for three large renovation projects which includes the Rural Health Clinic and the recruitment of new physicians and providers. According to a press release, Luker also helped Holy Family rank in the top one percent of all hospitals in the nation for employee engagement. Luker also serves as chairman of the Illinois Critical Access Hospital Network’s External Peer Network Committee.